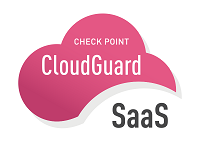 CloudGuard SaaS is a cloud service that prevents attacks on enterprise SaaS applications, blocks cyber criminals from taking over employee accounts and provides data security for SaaS applications. The solution supports a multitude of enterprise applications including Microsoft Office 365, Google G-Suite, BOX, Citrix ShareFile and more. Runs as a cloud service from a cloud, installed as a SaaS service add-on. Provides threat prevention including threat emulation and extraction along with data security / DLP. Coverage for a multitude of enterprise SaaS applications including Microsoft Office 365, Google G-Suite, BOX, Citrix ShareFile and more. Includes a dedicated web portal for management and configuration.